Via the wonder that is Instagram (you can find me as @verykerryberry) I got arranged a little swap with Pam of Pam Kitty Morning. If I was Pam I think I change my whole name to Pam Kitty Morning, not just my designer status. 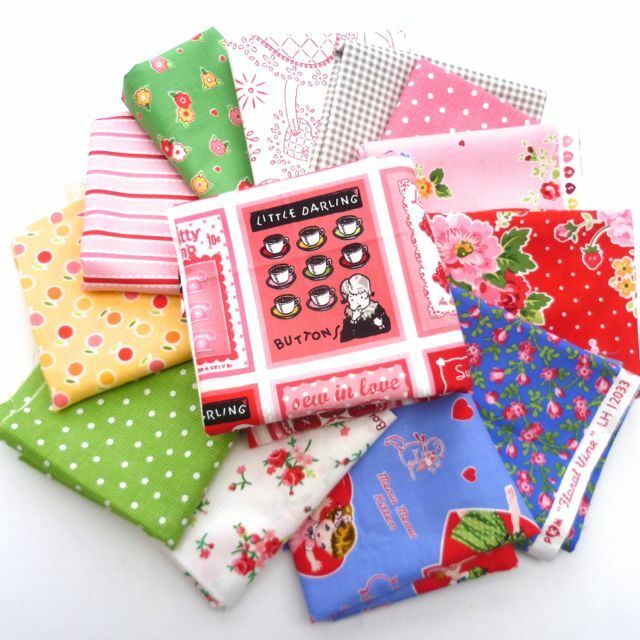 So, I sent Pam and little bundle of vintage bits and bobs and som UK chocs and and she sent me USA candies, lovely cutesy notions and a big fat stack of her delicious fabrics. Those colours are amazing, they pack a big punch of bright loveliness. I am guessing that Pam is the sort of person who wears her heart on her sleeve as these designs just seem to be her through and through. All the little vintage details are such a delight, this button print especially. I found it online for those who are equally enchanted by it here. This green is one of my favs, I just love this particular grassy shade of green which is pretty hard to come by. 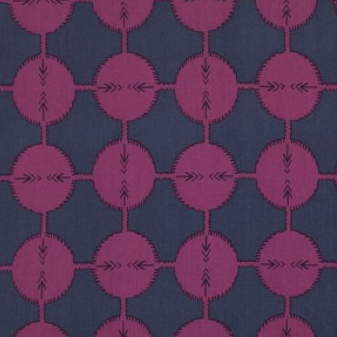 It combines brilliantly with pink for one of my favourite colour combos. 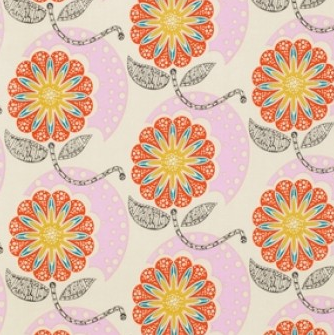 There are some perfect prints in this range, real bubblegum beauties. The colourful world of Pam Kitty is a happy place. 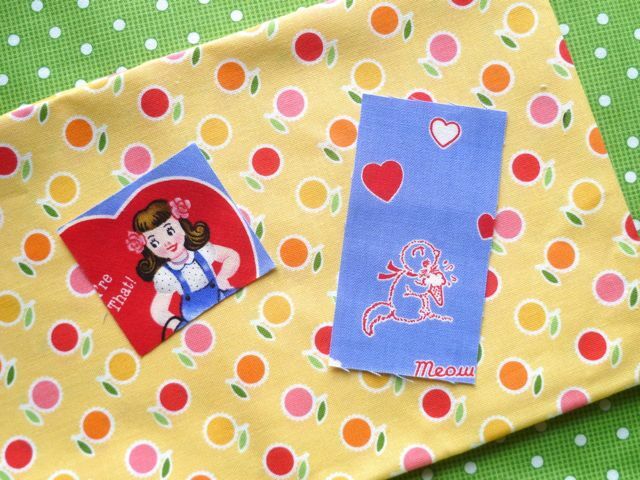 You can find many of her Love fabrics at Jessie's Sew and Quilt shop. 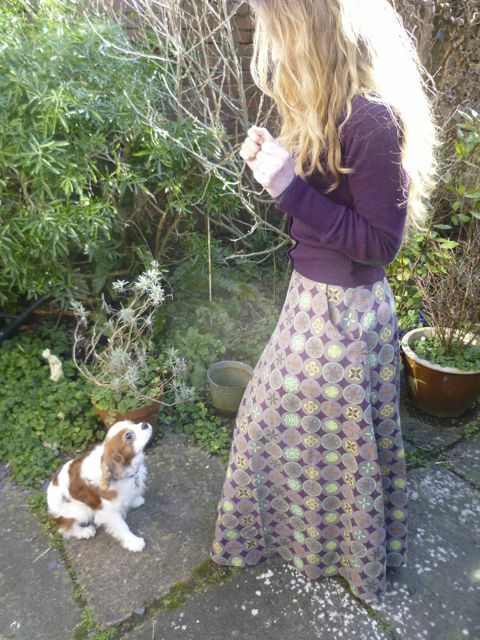 Huge thankyous for all the skirt love comments. Its always a little harder posting pics of things with me in so it helps when you all say such lovely things. 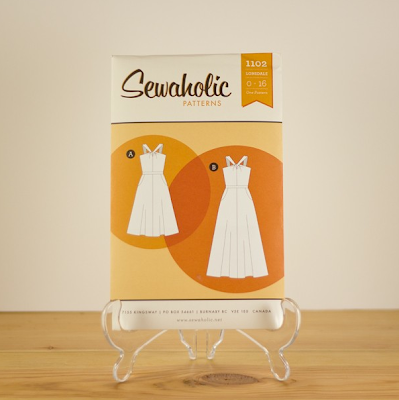 I know a few of you are feeling like you are just ready to rekindle your dress making or even dip your toe in for the first time. So treat this post as a little aperitif to your dreams, a selection of Saints and Pinners patterns at 40% discount as temptation to get you sewing. 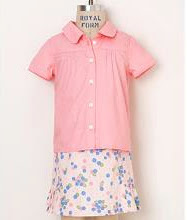 Children's clothes are a great starting point. This Oliver +S Music Class pattern is a little advanced with the buttons but the outfit won't take much fabric and the result is so cute! 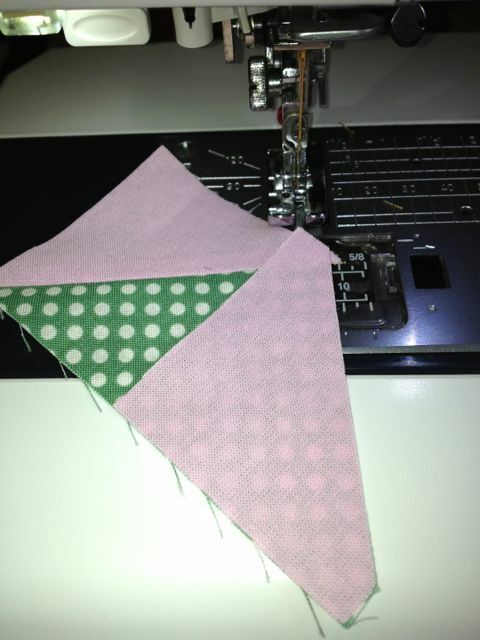 Sizing is 6m- 4 years so if you trace off the pattern pieces there is a lot of opportunity to re-make again and again. I kept many of the clothes and knitting I did for Lula, they hold so many memories. An easy girl's skirt pattern is this Little Belle pull on skirt by Favourite Things, sizing runs from 1-14 years. 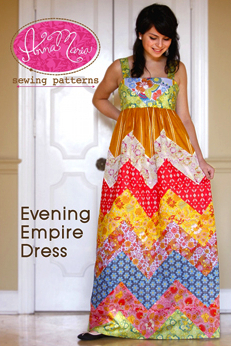 Tempting you again...I can only apologise ;) And if patterns aren't your thing, you will find fabric on sale too right here. As promised, a skirt heavy post, a Lonsdale skirt. Size 6 (USA sizing), this is a perfect fit for me, it sits low waist just bellow my belly button. I am quite short in the body so I prefer a lower waist so I don't feel cut in half. 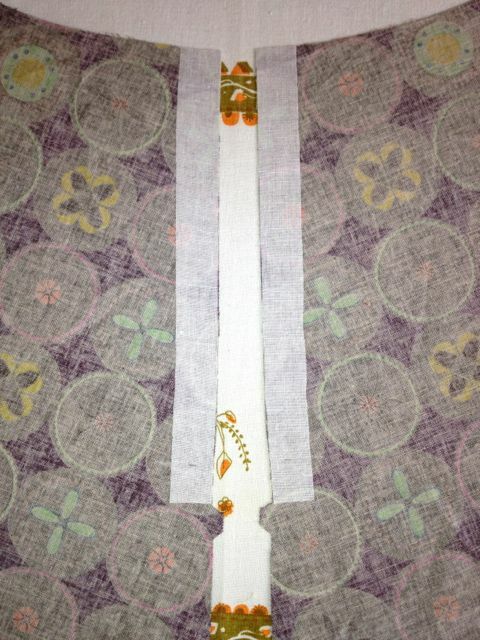 I cut the longest length on the size 2 hem as that was the best way to get a maxi length out of 2m of 58" wide fabric. 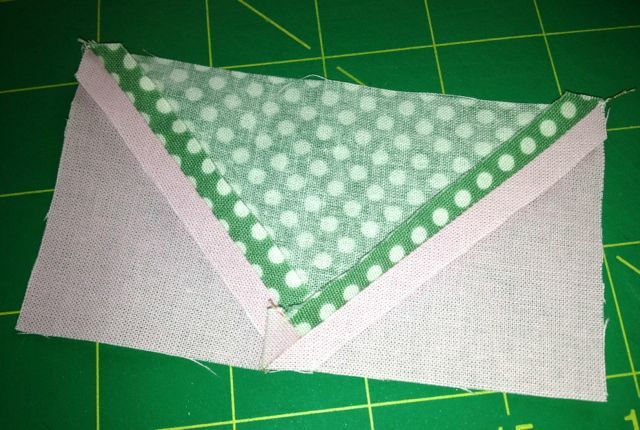 I cut the waistband lengthways instead of usual with the grain- again squeezing this out of 2m but as this needs to be firm having a bit less stretch was beneficial. The huge bonus of this pattern is that only the waistband needs to be tested- get the fit of that right and everything else should follow, no muslin needed. 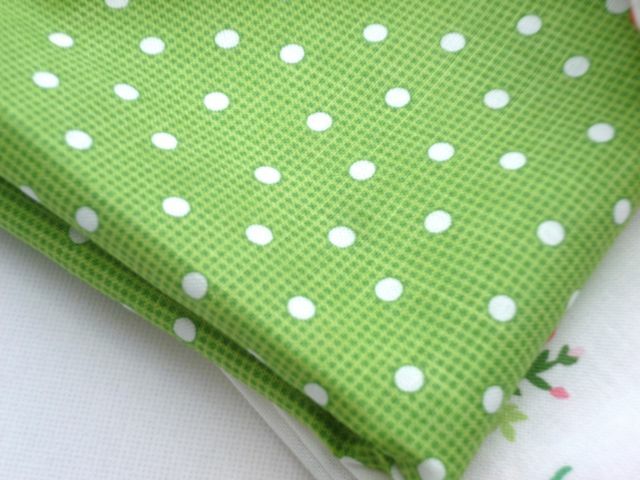 This fabric is Melody Miller, Ruby Star Spring- light-medium linen blend, no lining. 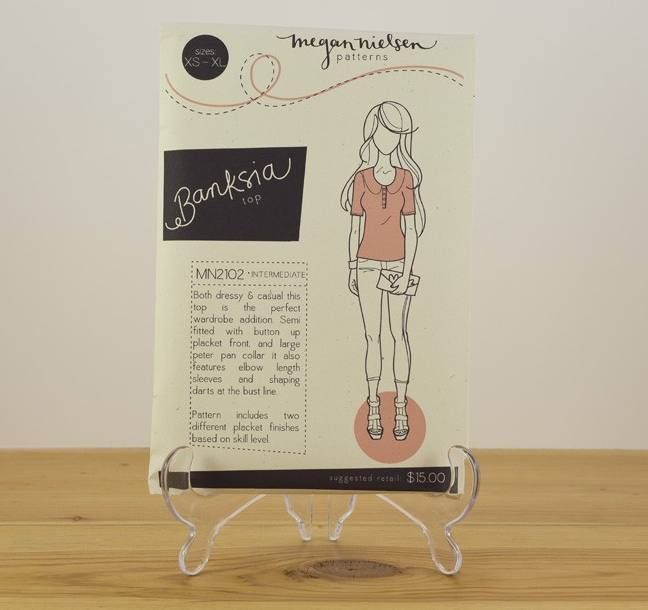 My brother bought mine from M is for Make for Christmas, you can also find it at Eternal Maker. It is a Spring weight- I have not been able to wear this on the chillier days this week- just too cold! You can find the Lonsdale pattern here. 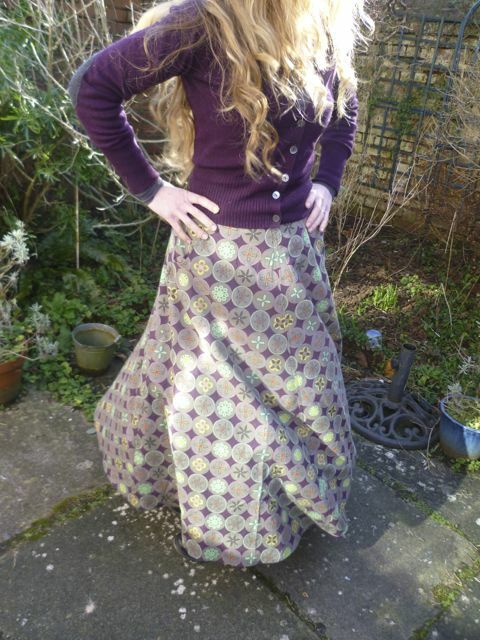 There is a lot of fabric in this skirt and I would really recommend using a wider width- more economical and a lot less wastage than a standard 44" width. 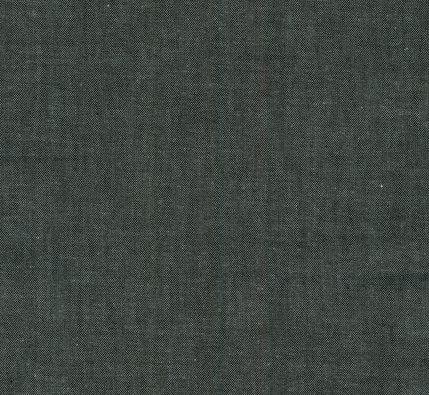 It would also cost a small fortune to make it with a one way print or pile- like corduroy for the same reasons, shame as it would be heaven in Chicopee cord. Mmm swirly. I should thank my photographer daughter for the booty shots. 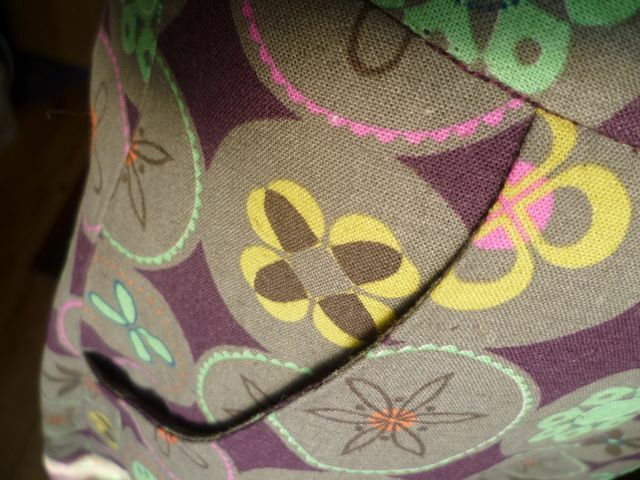 I put a little detail: top stitching down centre seams front and back. 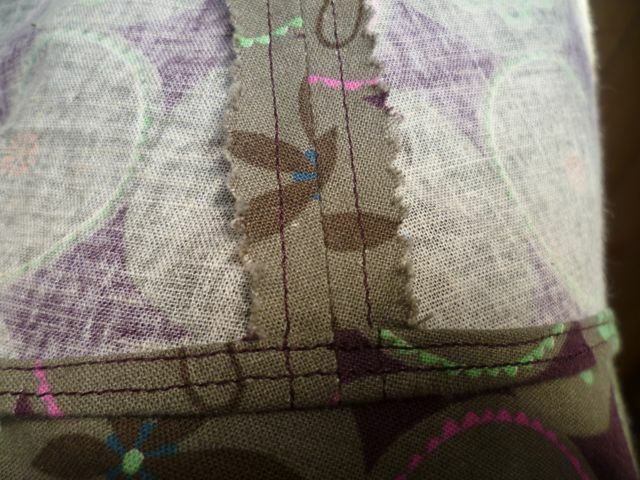 And overlocker/serging for the side seams. 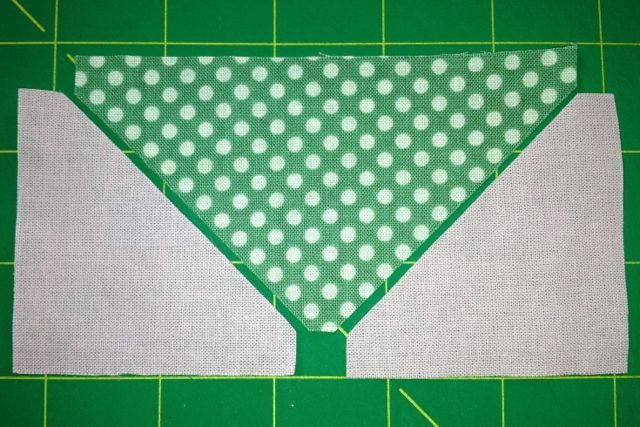 You can also see the hem here, a tiny double fold using this method which is great for a full circle skirt and there is only one line of stitching visible on the front. 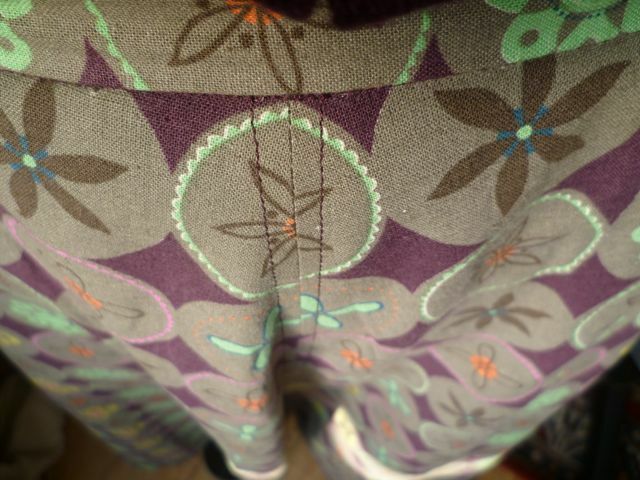 I used an invisible zipper combined with the technique in the Colette Ginger skirt pattern which seams the waistband facing into the zipper. 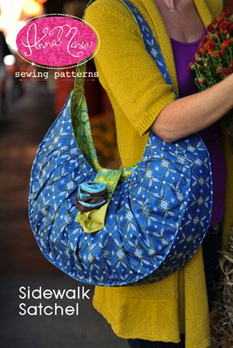 A very wise tutorial on invisible zipper insertion can be found here. 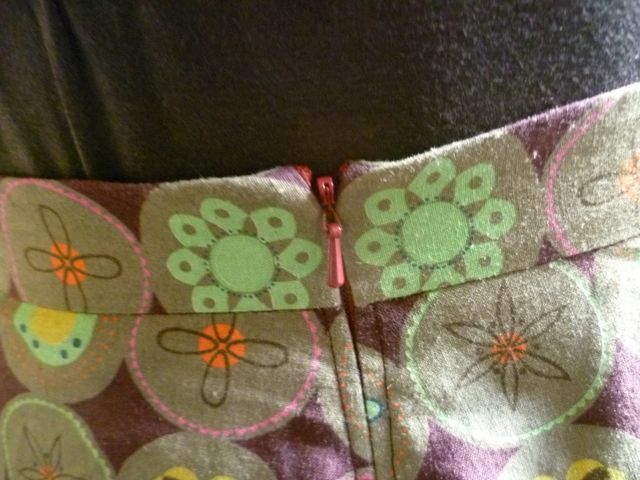 I used a little lightweight iron on cotton interfacing for the zipper and it works like a dream. 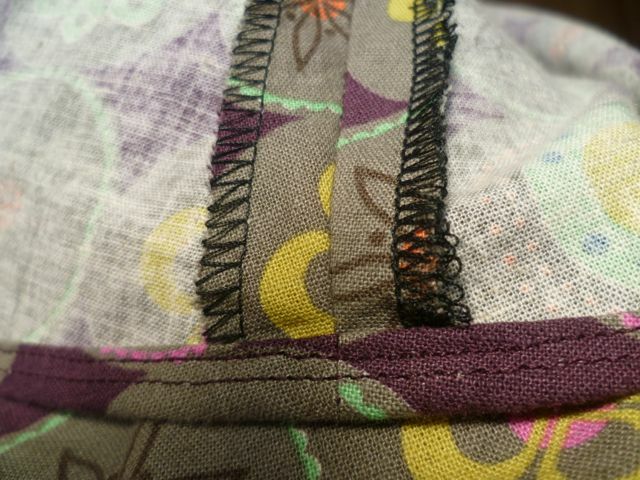 The base of invisble zippers always seems a little vulnerable especially in an area that will get sat on and the interfacing adds a bit of strength and helps when inserting the zip for the inevitable unpicking- there is always some. And as L and I were in the 'garden' (optimistic term for a tiny yard), Lottie had to be there too, she is trying to be good here, trying not to jump up and then she can have a big cuddle! The sun is shining- some of the time, and the days feel just a little longer. We'll just ignore that I am wearing my wrist warmers and two pairs of socks as I write this. I have been aching do make some clothes so yesterday I sneaked in long longed for project, a maxi skirt with a little Sewaholic/Melody Miller action. 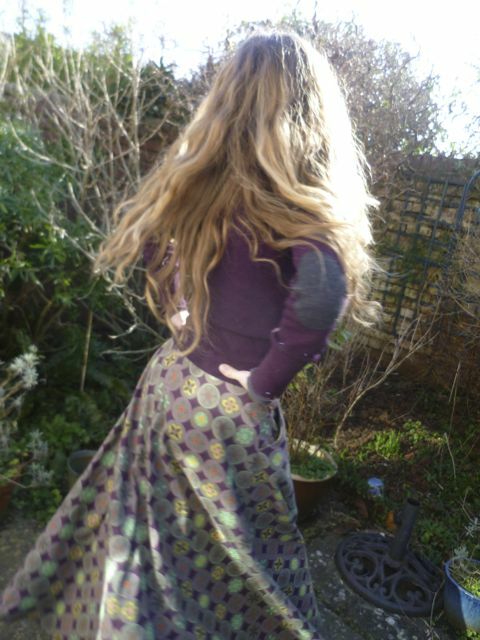 More of the skirt to follow in a skirt solo indulgent post but meanwhile, for thoughts of dressmaking, here is my monthly trip to Village Haberdashery with a sartorial theme...and if you can't wear it, quilt it. 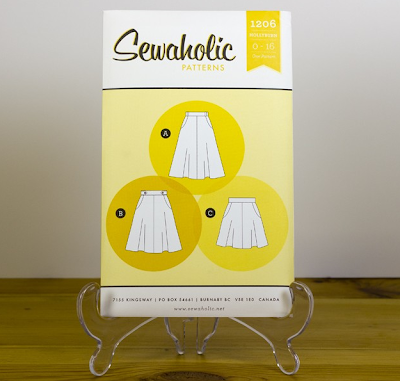 It may seem counter intutitive but I made my skirt using the Sewaholic Lonsdale Dress pattern- I can explain. 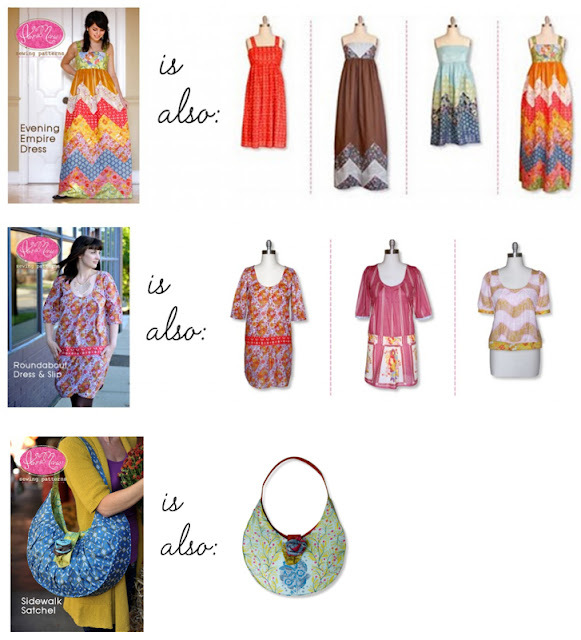 I wanted a maxi length, and I want to make the Lonsdale dress too. This is an excellent pattern and if you are making the skirt the only part you need to test for fit is the waistband- get that right and the rest will flow. The pockets are a joy, very easy construction ( more of them to come with the skirt post) and, as with many independent pattern designers, there are resources galore, the best of which is a Lonsdale sew-along with Tasia, who is Sewaholic. 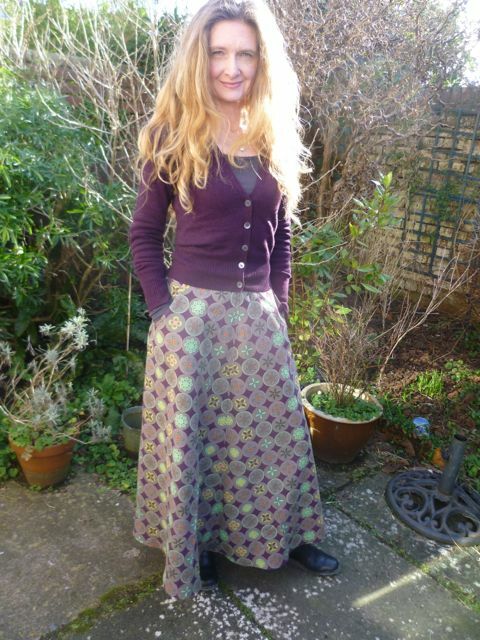 For those who want to skip the dress, here is the Hollyburn skirt- the same skirt but in a different range of lengths and extra waistband detail- and another sew-along right here. 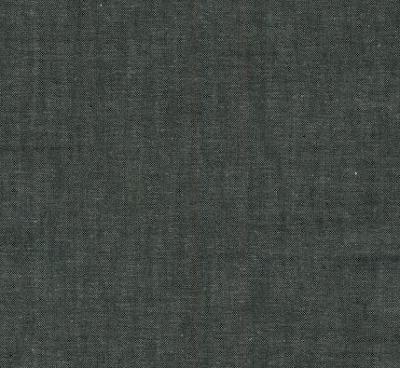 Fabrics for either could include the beautifully understated Carolina Chambray- this would really work with the waistband tab detail. 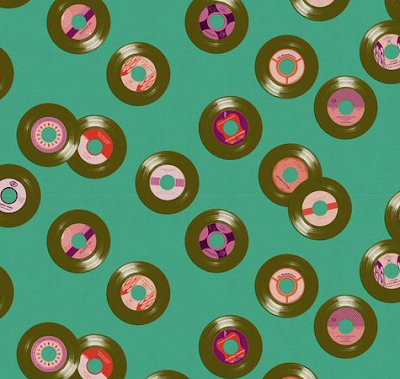 And for real impact, a bit more Melody Miller, Vinyl in Aspic. 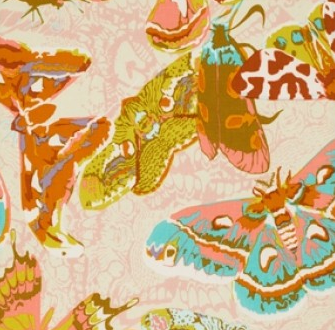 I do have this print in Absinthe and I plan the same skirt in it- it will need lining, this fabric is very floaty. Banksia is next on the list of clothes to make although I will need to make a trial one to check how it works for my unfeasibly small chesticles. 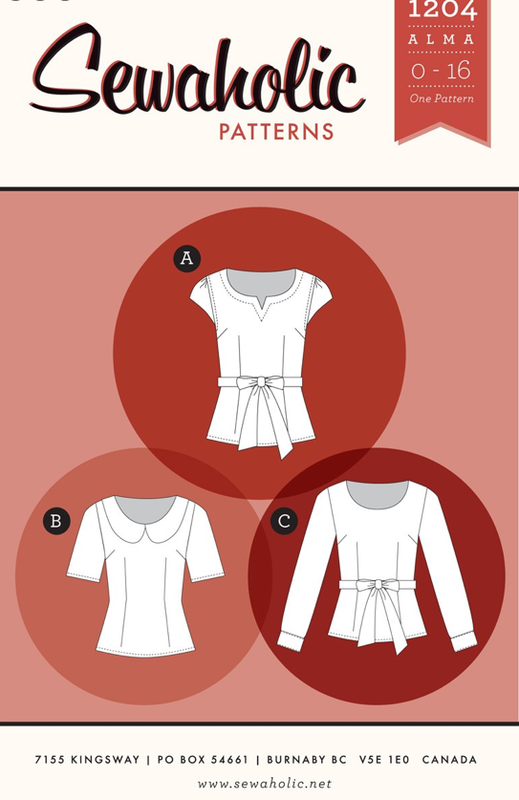 Again there is a sew-along by Megan Nielson herself which has huge resources, including alternative collars, long sleeves, no sleeves, cheaters placket, a knit version, dress version and more. 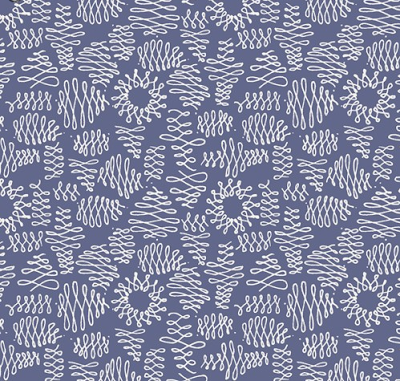 These patterns may seem more expensive than a Simplicity or a New look but independednt designers have much higher production costs to meet and remember the best deisgners give so much more in terms of variations and help. I am hoping I can make this top many many times. Or Cell Structure in Americana. For a more fitted look, there is a cute little Sewaholic Alma pattern, this top has a side zip although I have seen versions on line that skip this step. 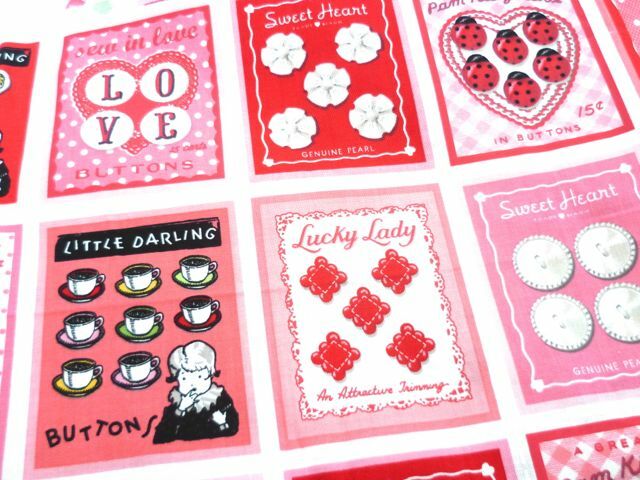 Art gallery cottons are a finer silkier quilting cotton weight, more like poplin and wonderful for dresses and tops. 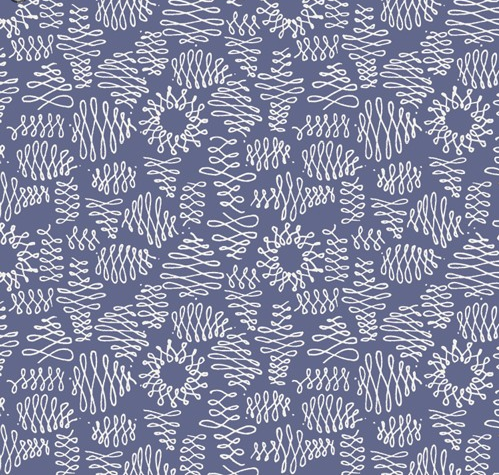 Sarah Watson's new Luxe in Bloom range has many easily wearable prints that won't make you look like you are wearing a quilt, I think this all over squiggle would look so pretty in the Alma. 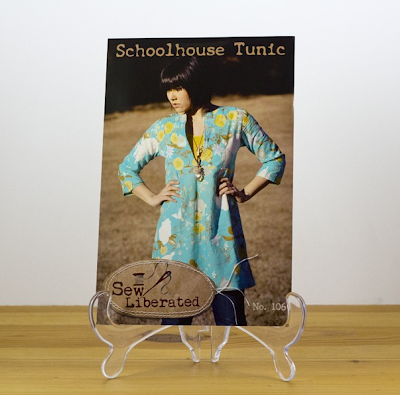 If you fear the zipper, the School House Tunic by Sew Liberated is ideal. 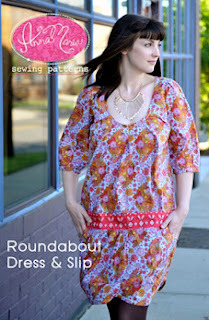 A forgiving and flattering style, a great beginner pattern ( there is a free dress adaptation of this at Sew Liberated) and a helpful sew along style tutorial here. I have made similar tunics to this and they work beautifully in voile, what better than a little AMH Field Study: Co-ordinates in Midnight. 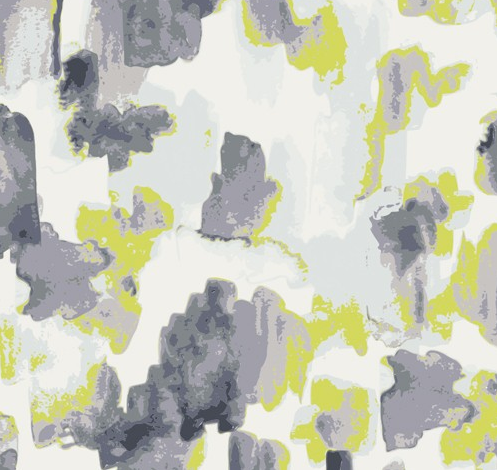 Another Sarah Watson print for Art Gallery, Cascade in Agate, and a way to sneak in a bit of citrus that won't make you look like a 80s throw back. I saw this Green Bee Amelia dress pattern in Quilt Market photos months back and it caught my eye then. It is a simple bias cut crying out for curves to fill it. The only trickiness is a back zipper. 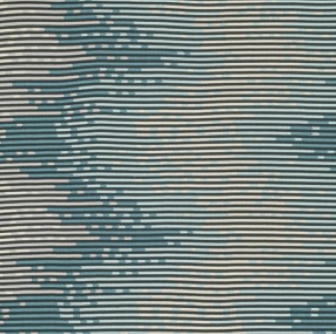 and Sea stripes in aqua. Feel that sun, or if necessary imagine it, then put on a coat and dream of spring. I love the look of Flying Geese but I hate the lengthy process and the wastage so I have generally avoided them. 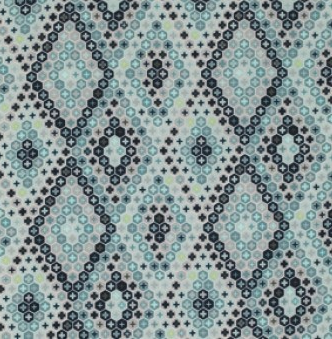 I made a big long goose chain for Muriel in a Bee once and I shied away from them despite my love of Denyse Schmidt's glorious Flock of Triangles quilt. 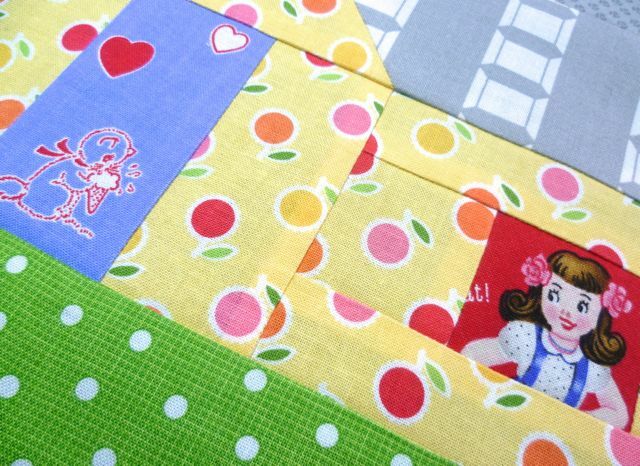 And then I had a break through whilst having a look at various Sizzix projects on their website. 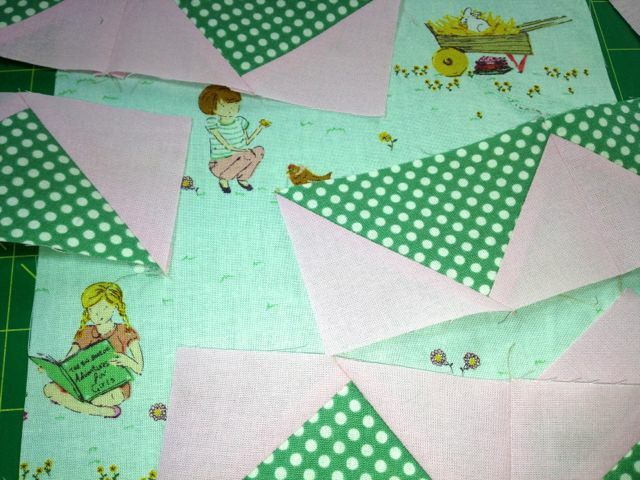 I found the Swarm Quilt project entrirely based on 2 sizes of geese- the dies did all the work. 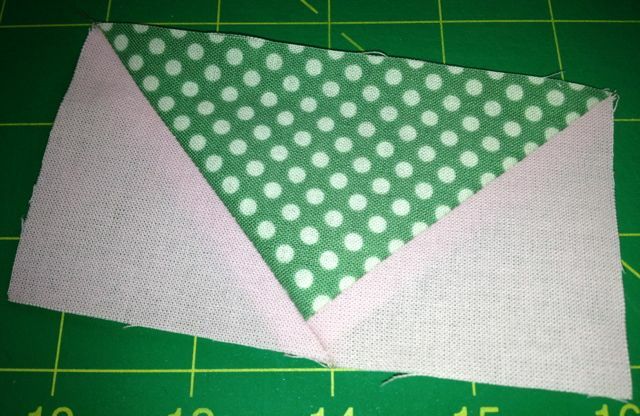 I had the half square triangle die already so I set to work getting the remaining triangle die that makes the centre. And you can see how easy it is, dog ears trimmed, accurate, minimal wastage- this is where cutting dies really excel- and this one will get used for quarter square triangles too. Super size geese? Oh yeah! This one needed this die and this die for a super size block. 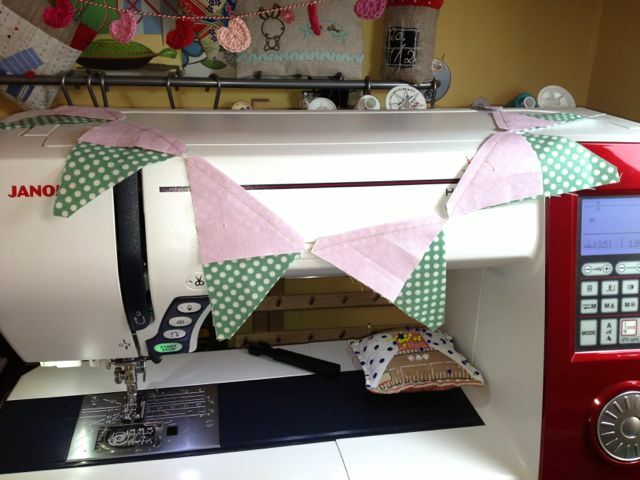 For buying online: I have used Crafty Devils Paper Craft and Country View, both competitively prices and quick to send.